These are lyrics by Dave Matthews Band that we think are kind of funny. 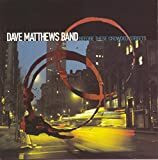 Dave Matthews Band's, "The Space Between"
Dave Matthews Band's, "What Would You Say?" Love the wording, love the way Dave sings it and I laugh each time I hear it. Self-explanatory. These could also go in the 'Nonsensical' section.